If you are receiving the following error, the permissions on your Student Workspace are not correctly set. 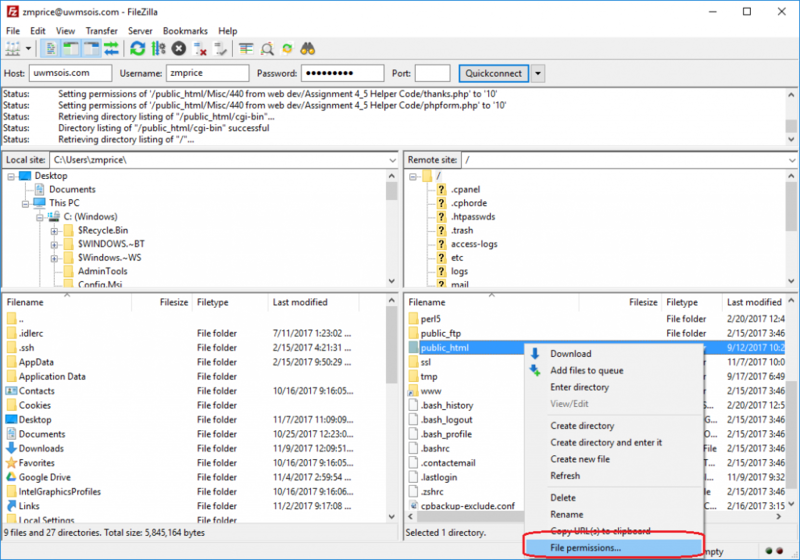 Log into your workspace account with FileZilla. 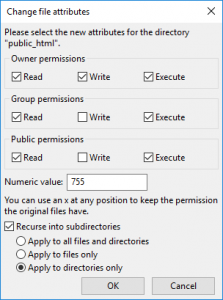 Right click on “public_html” and select “File permissions…”. Change the numeric value to 755. In addition to this select the checkbox for “Recurse into subdirectories” and select apply to directories only. After this hit OK. Let this finish running. Right click on public_html again and change the numeric value to 644, check the “Recurse into subdirectories,” click apply to files only, and then hit OK. Let this finish running.